For those looking for the perfect place to Brunch, Brooklyn seems to have it all. 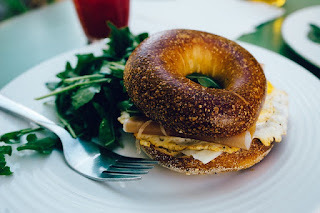 According to Anna Gustafson, who has been authoring the series ‘Brooklyn Staycation’ for Sheepshead Bites, there are some great places in the Kensington area to go grab a bite. Steeplechase, located at Fort Hamilton Parkway has actually be named one of the top 10 coffee shops by Gothamist so it’s really worth checking out. There is also Hot Bagels, Elk Café and Lark Café that bring in a bunch of happy Kensingtoners. In general, Kensington is a great place for food, and international cuisine at that. There are many expats living in the area so the neighborhood caters to that. But for those looking for some real traditional food, check out El Mirador’s karaoke nights, tacos, cold beer and other classical Mexican eats. Of course, one mustn’t forget Hunger Pang. Named the fourth hottest restaurants in Kensington by New York Eater last year, both the grilled hanger steak with miso butter fries, and the frisee shiitake salad are something out of this world. There’s lots to eat from brunch to midnight in Kensington. And many of them have received international acclaim.